Take in the views of the jungle and beach, guided by our trained staff who tailor each trip to suite your driving ability. 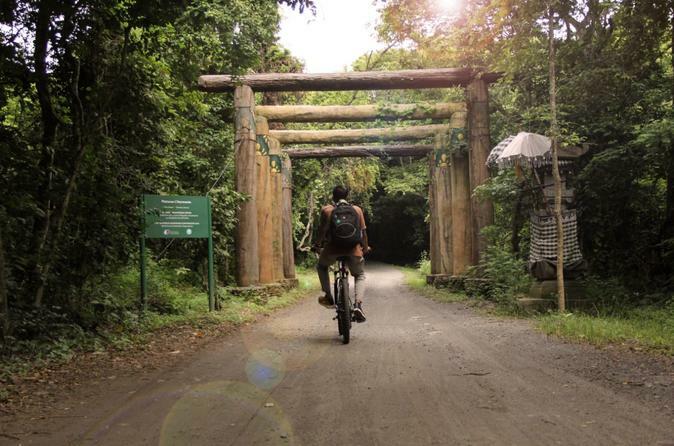 Discover the magic of the West Bali National Park by mountain bike. Two hours biking with our trained guides share their secrets, find out which leaf to use for antiseptic and which one to grab for the perfect manicure. Tours are daily and are subject to weather conditions. Start the journey through the National Park, then visit Bali Tower. The Bali Tower is remarkable and unique structure made from five huge logs, each 33 meters long and 80cm in diameter. It climbs above the tree-line offering incredible 360 views over the West Bali National Park and the ocean from the fourth floor and the top(fifth) floor viewing platform.